You may or may not know that last week I won the title of ‘Working Parent Blogger Of The Year’. An award I am extremely proud of and worked hard to get. 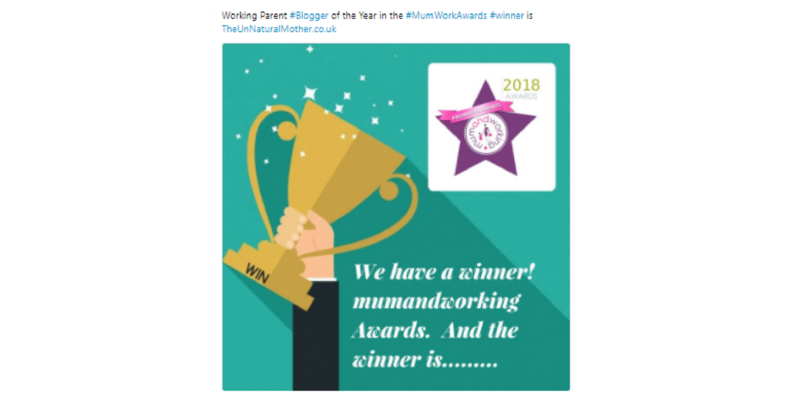 I was up against some very established and much bigger Bloggers than myself, like Mother Pukka & Laura’s Lovely Blog, but little old me took the award. It truly was a shock to actually win but then I did believe I could win, otherwise, I wouldn’t have put myself forward to be nominated. I have written many times about how you need to have confidence in yourself to get anywhere in life. This doesn’t mean you have to be up your own bottom and I hope I don’t come across that way, but you do need to believe you can achieve your end goal before you start out. The 6 months it took me to complete my Social Media Management Course was hard. Hard work that wasn’t paid, was on top of running my blog and being a fulltime mum of 2. There were times when I saw my old colleagues off on fancy ‘away days ‘ and buying the latest Mulberry handbags that my heart sank and I wondered if I had made the right decision, then I would give myself a virtual slap around the face and remember what I was working towards. Every one of us has a passion for life, whether it’s a hobby that will always stay a hobby or something we dream will eventually become a business. You may have seen a new job online or heard about a promotion but it takes that extra bit of effort to apply and put yourself forward. As the old saying goes ” You have to be in it to win it “. 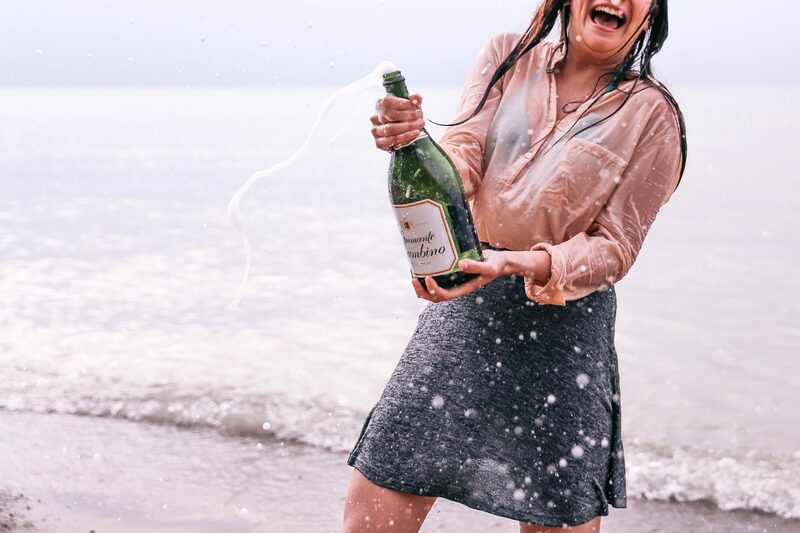 As women we can come up with 101 reasons not to take a risk, to stick to what we know but with the ever-increasing gender pay gap and fight for equal rights, how can we stand up and be counted if we refuse to move off our chairs? "15 Me-Time Ideas for Busy Mums"